The Federal Hatch Act of 1887 created a network of state agricultural experiment stations nationwide as part of the land-grant higher education mission. This system links experiment station research to cooperative Extension programs and college academic programs. The State Agricultural Experiment Stations were originally charged with conducting research and development projects on behalf of farmers. Subsequent acts and appropriations established programs in forestry, animal health and disease, and multistate research. 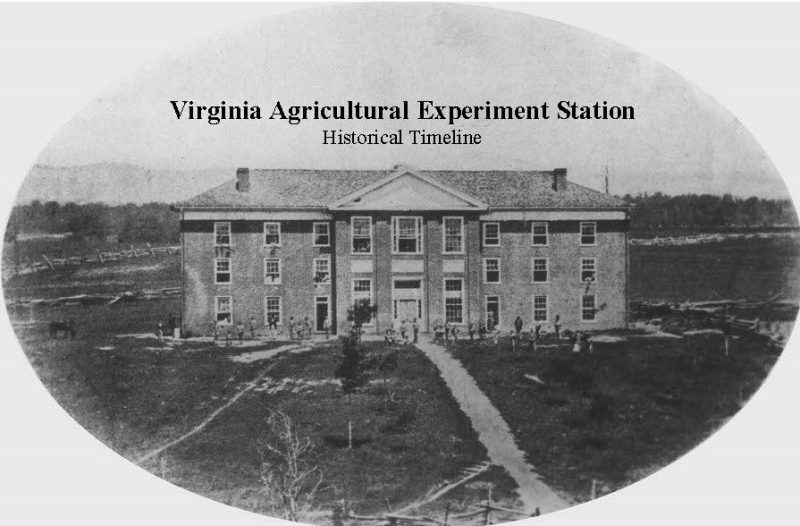 The Virginia General Assembly established the Virginia Agricultural Experiment Station (VAES) on March 1, 1886, in anticipation of the Federal Hatch Act of the 1887. Today, VAES research projects and activities encompass the work of more than 350 scientists in five colleges on the Virginia Tech campus: College of Agriculture and Life Sciences; College of Natural Resources and Environment; College of Liberal Arts and Human Sciences; College of Science; and Virginia-Maryland College of Veterinary Medicine. The VAES research network also includes 11 field stations located throughout the state. Known as Agricultural Research and Extension Centers (AREC), these field stations and emphasize the close working relationships between the VAES and Virginia Cooperative Extension. In 2009, the National Science Foundation ranked Virginia Tech No. 5 in the country for agricultural research expenditures, much of which originated through the VAES. VAES research directly supports agriculture, the state’s largest industry, accounting for one in every five jobs and providing an economic impact of approximately $55 billion annually with an additional annual contribution from the Forest Products industry of approximately $27 billion. While VAES's mandate is to support Virginia citizens through research that would have positive economic impact, VAES's goal is to conduct research programs that will enhance the quality of life for all people.